At Le Houx, we take great pride in providing you top-notch quality diamonds as they our area of strength and specialty. All of our engagement rings and marriage rings are all made to order. Please contact us via our email form, email or by telephone to let us know what you are looking for in terms of design and budget. We will then schedule a meeting to discuss further details. We will also be happy to communicate by email or by phone for those who are unable to schedule personal meetings. You can bring in your own cutouts or sketches, or you can come to our salon to choose from our sample images. If you’d like to pair your engagement ring with your marriage ring so that you can wear them as a set, we can provide you with appropriate designs that work. You can choose from platinum, K18 white gold or K18 yellow gold. At our salon, we will go over the 4C diamond grading system step by step using a chart so that you understand the basics of how to choose diamonds. At Le Houx, we give top priority to what our customers are looking for. Therefore, instead of asking you to choose from our inventory, we will purchase diamonds that best matches your requests. Of course, if you are under a tight schedule, you are more than welcome to choose from our inventory. Diamond prices Diamond prices vary widely according to the combination of quality outlined in the 4C grading system. There are endless combinations of the 4C’s, and since the market price fluctuates on a weekly basis, we are unable to offer you a fixed price. You will need to let us know what your priorities are in terms of quality and budget: we will then help you find the diamonds that meet your needs. 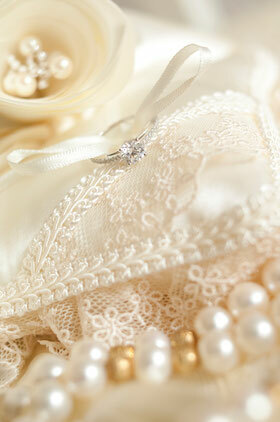 An estimate will be provided once you have finalized your design and your selection of diamonds. All pieces will be meticulously handcrafted by our skillful artisans. They will pay attention to detail in customizing and crafting your made-to-order jewellery. At Le Houx, we provide engravings inside your ring free of charge on all of our engagement and marriage ring orders. You can choose to engrave a date, your name(s), or even a special message. Our artisans will carefully polish the inside of the ring to engrave the letters one by one. Space for engraving will vary depending on the design of your ring – please consult us in advance so that we can best accommodate your needs. Our approximate delivery time is one month after placing your initial order. Your ring will be delivered in a box specially designed by Le Houx, together with a copy of your diamond certificate. In addition to guiding through the certificate, we will also brief our customers with care instructions for the maintenance of their diamonds.